Last Day on the Cape, or What Would You Have Done? There's nothing like the panic of a vacation ending. The first few days are decompression. Then you get into the groove of things. If you're vacationing with kids, you manage to exhaust yourself each day, carting them around. The last day or two is tough. You suddenly realize that you didn't get to all the things you wanted to do, that you did too many things and not enough relaxing, and that you have to face your actual life. What would you do with your last day? I chose to take a few photos at the beach and then do nothing. I didn't actually get to do that, however. My husband chose to take the 3-year-old boating. We had a “discussion” about the day's schedule, way led to way, things came to a head with my mother, and I was emotionally wrecked by 10am. My “nothing” time was invaded by hostile emotions. 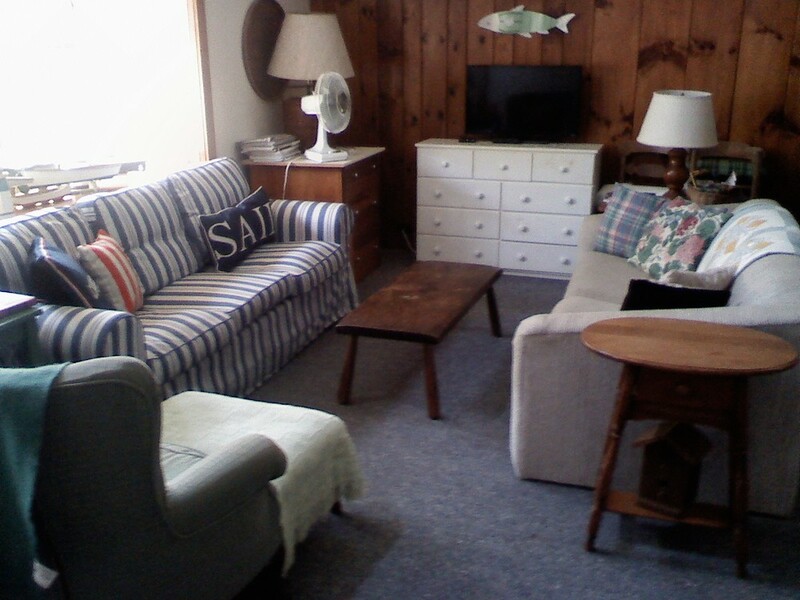 I spent the next two hours scrubbing the cottage clean. I vacuumed, dusted, mopped, raked, swept, washed, packed, and organized with a vigor that can only be driven by barely repressed emotions seeking an outlet that won't land me in prison. I have a secret fear that Husband will figure this out and piss me off on a regular basis just so I'll clean the house every once in a while. At 2pm, the troops came home with the car, and I abandoned them right away. At first I drove to the sweet little downtown with its candy shoppes, art stores, and overpriced casual wear. I stopped the car, but lacked the will to get interested in any of these. So I drove on to Brewster. Brewster is home to the Brewster Flats. At high tide, the Breakwater Beach is a couple dozen feet to the water. At low tide, it's over a mile to the water of the bay. View of the flats from the beach. The bay is that thin, dark blue line at the horizon. I've always wanted to walk all the way out to the bay at low tide; but I had only been there with my kids, and I can't bear the guilt burden of letting Husband deal with them all alone. Just couldn't look at one more stock portfolio. No, sir. Not today. The kids love the beach; they just don't like the sand... or the wind... or the water. The 3-year old prefers shoes, socks, and long pants. He looks like an investment banker who decided one day to drive to the beach instead of the office. Today I was by myself. I set up an umbrella and read a whole chapter of a book without interruption. And then I decided to walk the flats. The whole way. I headed out as the tide was going out, about 4pm. I walked for 45 minutes in a straight line. Sometimes the water came up to my knees. I carried a smallish beach umbrella for a bit, until it started to collapse under the pressure of the wind. I wasn't wearing any sun block, but I pressed on. I thought I saw people off in the distance. I didn't know how they had gotten so far out so quickly. Eventually they revealed themselves to be seagulls on the outermost flats. There was nobody out there. I pressed on. When I finally got to the seagulls, I looked around. There was nobody for miles in any direction. I was right where the waves of the bay crested across the first flats. I don't think I've ever been so far from another human as at that moment. And boy was I happy about that! As the wind roared in my ears and the seagulls gave me sideways glances, I pulled my drawers down and peed right there. Greatly relieved and feeling much better, I set off to burn the other side of my face on the way back to the car. Most of the water had receded, and it only took 1/2 hour to get back. I drove home and rejoined my family with a sense of perspective and a feeling that I had gotten in a lot of good exercise today. Oh, and after dinner, we went out for ice cream. I'm ready to go home now. The view of the shore, looking back from the edge of the bay waters.